How do we Feel Good Despite Additional Stress During the Holidays? - Diane H. Engelman, Ph.D.
Additional stress during the holidays can certainly challenge our ability to feel good. It also challenges our intent to actively try and remain positive. The media image of the “perfect” family and the “perfect” winter holiday has long permeated popular culture. And it adds more stress. But that popular image was grounded in real families of earlier generations and how they created warmth and celebration, often with limited resources. It also reflects what they did to make the event special in spite of life stresses. My family memories of this season are of Christmas celebrations. (For a different take on a family Christmas, see psychology writer JB Allyn’s post, Chasing Christmas, or the Tinfoil Christmas Tree.) 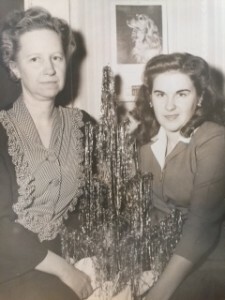 My mother and grandmother had a wonderful ability to bring warmth to the holidays, even at times when family dynamics might have been out of balance. Nothing was expensive. But little things made it happy, bright, and, yes, warm. We always had lots of animals in our household – collies, colorful birds, cats, a fox, cockatoo, and reptiles. All of them brought life and color. Added to this would be lovely trees with handmade ornaments; small, fun gifts and trinkets wrapped under the tree; and breakfast treats for Christmas morning. My mother must have felt added stress – doing special things takes effort! But, somehow, her focus on making it special for us kept the whole experience positive. “Given the negativity bias of the brain, it takes an active effort to internalize positive experiences and heal negative ones.” So say Hanson with Mendius in their 2009 book (p. 75). This statement doesn’t necessarily account for the additional stresses most of us feel during the holiday season. It does, however, point out that once we feel bad, it’s easy to keep feeling bad. And, on the same page, they add, “Good feelings today increase the likelihood of good feelings tomorrow.” So, yes, it is important to nurture good feelings. It is usually an active process, not something that just happens to us. Positive feelings have important health benefits, too. Some benefits may include a sturdier immune system (Frederickson, 2000) and a cardiovascular system that reacts less to stress (Frederickson and Levenson 1998). They can also give us a better mood, with improved resilience, optimism, and resourcefulness. Positive feelings can even help in offsetting suffering from painful life experiences, including traumas (Frederickson 2001; Frederickson et al. 2000). So, here we are. We are living busy lives, and in the middle of these busy lives, comes a holiday season with major financial and social pressure attached to it. Just how do we take an active role in trying to feel good and stay positive, especially when there is so much going on? How did my mother do it? Hanson and Mendius recommend that we bring to mind good feelings and perspectives to counteract negativity: “It’s good to take in the good. It builds up positive emotions, with many benefits for your physical and mental health (p. 77).” So, we identify positive experiences, savor them, and allow them to sink into our consciousness on a deeper level. We can use this positive material to soothe and replace old hurts. Then, when negative material comes up, we remember the good feelings and viewpoints that are its remedy. Obviously, learning skills to maintain good feelings – especially when stressed – takes effort, planning, focus, commitment, and sometimes outside help (such as counseling or medical intervention). Noticing the kinds of experiences that bring us joy. Actively seeking out more of those types of experiences. Soothing ourselves, especially around painful or confusing issues, by guiding our thoughts to a better place. Using techniques such as tapping to aid in reducing and relieving our stresses (Ortner, 2013). Without consciously knowing these techniques, I believe this “taking in the good” and savoring it is what enabled my mother to make our holidays so warm. Somehow, she just knew that going toward the good felt better than dwelling on the bad. I am wishing you good feelings, happiness, and health this holiday season! Frederickson, B.L. (2000) “Cultivating positive emotions to optimize health and well-being.” Prevention and Treatment, Vol. 3: Article 0001a, posted online March 7, 2000. Frederickson, B.L. and R. Levenson. (1998) “Positive emotions speed recovery from the cardiovascular sequelae of negative emotions.” Cognition and Emotion, 12:191-220. Frederickson, B.L. (2001) “The role of positive emotions in positive psychology.” American Psychologist, 56: 218-226. Frederickson, B.L., R. Mancuso, C. Branigan, and M. Tugade. (2000) “The undoing effect of positive emotions.” Motivation and Emotion, 24:237-258.